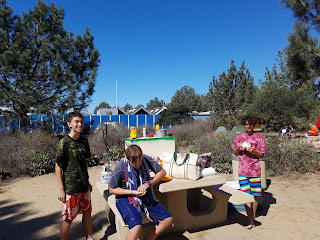 The troop hosted some Webelos scouts at Fiesta Island for some boating, geocaching and campfire activities. 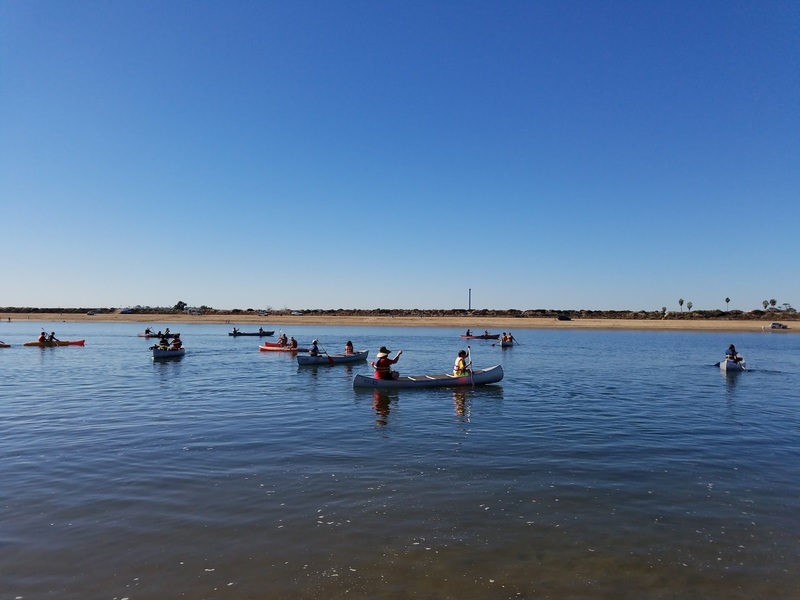 We rented a bunch of canoes and kayaks and most everyone had a great time on the water. We then hit some geocaches nearby on the island. The highlight of the event was the dinner and campfire. The patrols each made a Dutch oven meal and the Sr. patrol made some dessert. The ovens were completely cleaned out! We finished the day with a great campfire right on the water. 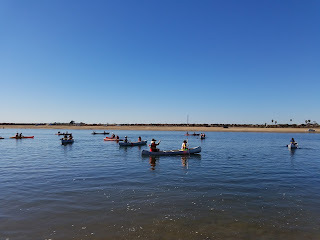 Fiesta Island is always a great time!